It has been reported that Maruti Suzuki is working on a new 1.5-litre diesel engine that will replace the Fiat-sourced 1.3-litre unit. We have learned that the engine is now ready for launch and will be offered on the Ciaz as an option. Reports suggest that the 1,498cc, 4-cylinder, DDiS 225 engine will be offered without hybrid tech on the Ciaz. It produces 94 BHP @ 4,000 rpm and 225 Nm of torque @ 1,500-2,500 rpm. The engine is claimed to be lightweight and has a dual mass flywheel. Its fuel economy rating is 26.82 km/l. In addition to the 1.5-litre diesel engine, the new Ciaz is likely to be offered with the 1.3-litre, 4-cylinder diesel that makes 89 BHP and 200 Nm of torque, at least until BS-VI regulations kick in. 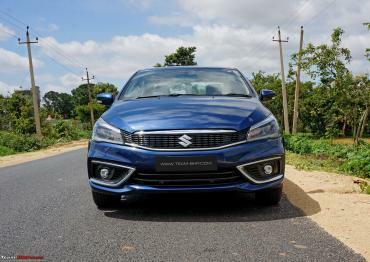 The Ciaz also comes with a 103 BHP 1.5-litre petrol engine. Maruti Suzuki is expected to offer the new 1.5-litre diesel engine on other models in the future.